Pest-Tec Environmental are a leading pest removal company in London and Surrey. We serve both domestic and commercial clients. There are many ways in which pests can be removed. There will be different methods used for each type of pest, how major the problem is and where the infestation is. That said the main types of pest removal are biological, physical traps, space treatment and poisons. We use biological measures to help remove pests from your home. This form of treatment basically uses natural bacteria which infects the pest. This is usually used for agricultural problems. Traps are a popular way of catching rodents and can be used to capture larger animals such as foxes, badgers and other animals which are causing problems in your boundaries. There are quite a few different types of trap. Some traps kill the animals by hitting them over the head. Some traps simply catch the animal and we can release it away from your home. We have a variety of traps and we can set them up and come and dispose of the pests for you. 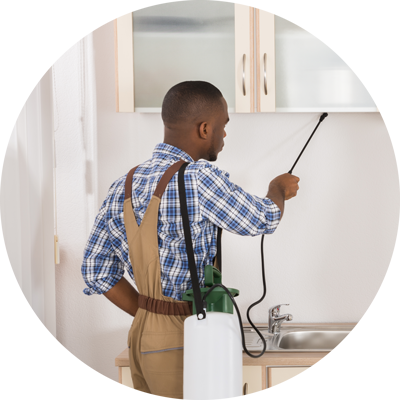 We use insecticides and other chemicals to kill off bugs and rodents from your home and workplace. These are very effective but require a professional to carry out due to the safety implications. If you require pest control then call Pest Tec today. We often use poisons to prevent pests such as slugs, ants and flies from returning to your home. It also stops breeding. Poisons can be used on insects and rodents but it is more common to use them on insects. This is a treatment which seals a piece of furniture or a place in a large airtight container for a long period of time (up to three days in some cases). A gas is then released into the container which kills of the pest inside. This is a costly treatment to carry out. At Pest Tec we provide a whole host of services from bugs to rodents to birds to mammals. We can solve almost any pest problem on your property and use a variety of methods to achieve this ranging from physical to chemical. We always give our best in every task we take on, ensuring we do the job diligently and thoroughly. So whether the problem is in your bedroom or your school, your garden or your farm, your property is in safe and reliable hands. Passionate about our work, we are aware that the industry and technologies are always updating so we have a policy that all staff undergo regular training and are kept aware of any progressions made in the field while at the same time we ensure all our working methods conform to the British standards in safety. We will remove all deceased animals from your workplace or home so you don’t have to deal with any part of the pest removal. Just leave it entirely in our capable hands!